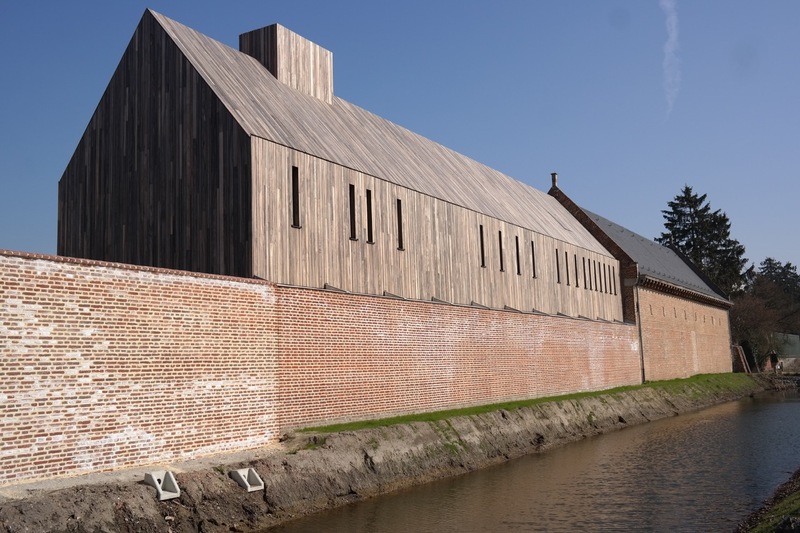 On March 29, Herkenrode Abbey in Hasselt will celebrate the completion of a 15-year renovation with a day of free access, guided tours and the unveiling of a new, permanent artwork on the site of the former abbey church. The day’s festivities mark not just the end of the renovation work but the beginning of a new era for the Flemish heritage site. 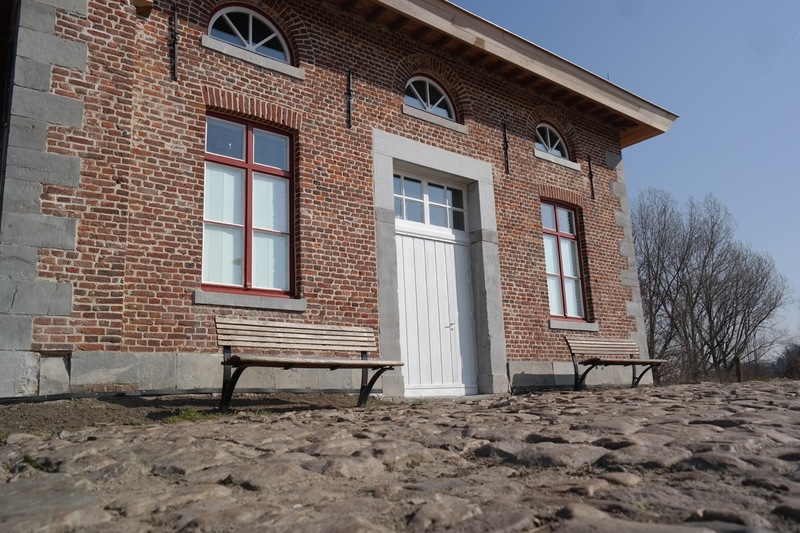 All of the existing buildings are now accessible to the public, offering more functionality for visitors. Also, the parts of the abbey that have long since disappeared are now evoked through landscape elements and new constructions, thereby completing the picture of the former abbey. 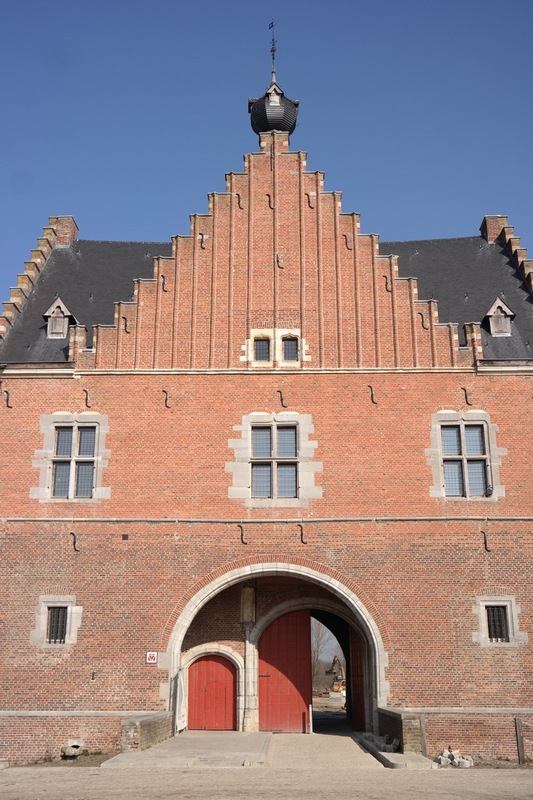 Herkenrode was a Cistercian abbey that for 600 years was an important religious, economic and political center. Founded by the Counts of Loon, it later fell under the jurisdiction of the Prince-Bishop of Liège. 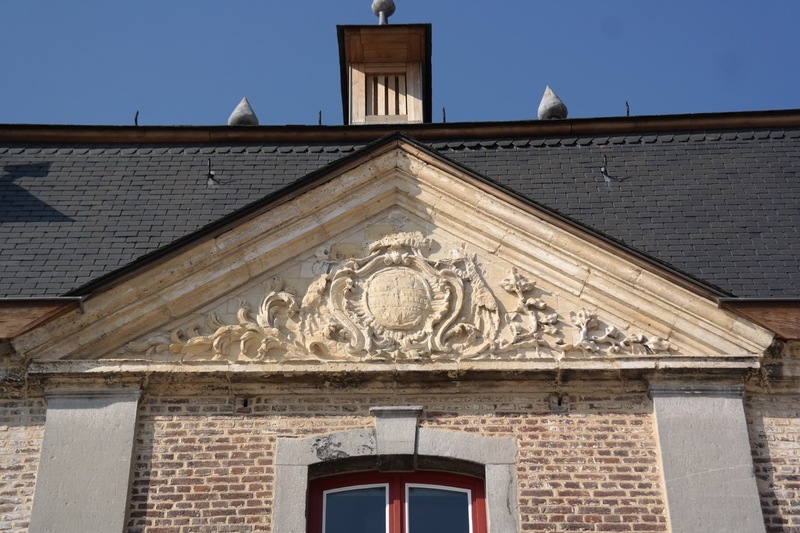 The abbesses came from influential, local families, and oversaw huge estates that encompassed lands and farms scattered all over the Kempen and Haspengouw, as well as refuges in Hasselt and Sint-Truiden. Previous visitors to Herkenrode will already be familiar with the impressive, monumental gatehouse which still serves as the entryway to the site. This 16th-century building and the adjacent porter’s lodge have been newly renovated and will now function as a reception hall and conference center. The large room over the gateway is suitable for lectures and presentations. Award-winning children’s book publisher Clavis moved into the renovated former stables next to the porter’s lodge in 2014. 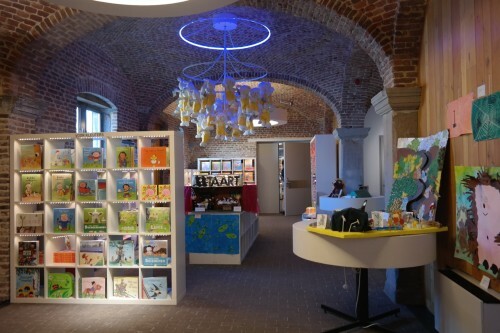 Along with the company’s offices, there’s also a colorful concept store that’s open to the public, and an educational center for children operated in conjunction with PXL-Education, the teacher-training college in Hasselt. The stables, tenant farmer’s house and tithe barn form a U-shaped ensemble that constitutes the largest surviving building complex of the abbey. Accessed through the central doorway of the Neoclassical tenant’s house, the visitor’s center is an interactive museum that tells the story of the abbey from its founding in the twelfth century through modern times. It opened in 2012. The monumental tithe barn is available to hire for events and parties. These buildings, which until now have been the focus of the public’s experience, formed the agricultural part of the abbey. In essence, this was the farm that supported and fed the nuns. 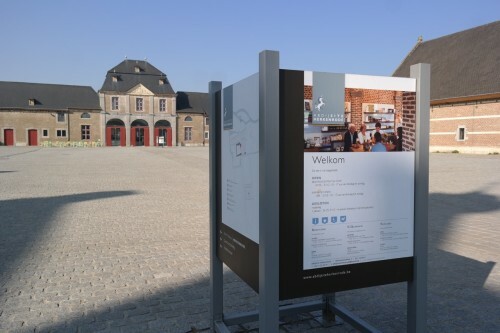 “In the past, people thought the existing buildings were the heart of the abbey, but they weren’t,” according to Ginny Haesevoets, City of Hasselt’s Coordinator for the abbey site. The historic heart of Herkenrode disappeared nearly two hundred years ago. Located to the left of the gatehouse, as you entered the abbey, the most important buildings were the cloister with adjacent nuns’ quarters, the abbey church and the nearby guest house. Parts of the nuns’ dormitories and the sacristy adjoining the church still survive, but the church and cloister together formed the spiritual and symbolic heart of the community. The church burned down in 1826, during a period when it housed a textile factory. “The Quiet View”, a work by Brussels-based artist Hans Op de Beeck, occupies the spot where the abbey church once stood. The massive structure appears from the outside to be a gray, rectangular box, nearly featureless aside from evenly spaced vertical ribs on its exterior surface. It presents a stark contrast with the warm brick and sandstone of the historic buildings. New cobblestone paths and tiled pavements give access to the historic heart and serve to indicate the location of now-vanished buildings. Across from where the church once stood, the former horse stables house a brand-new restaurant, De Paardenstallen, with both indoor and outdoor seating. For the first time in hundreds of years, visitors can enjoy a meal at the abbey. At the rear of the site, two buildings that formed part of an extensive craftsmen’s quarter have also been recently renovated. The “fisher’s house” will once again house personnel and service functions, while the old watermill on the Demer river is still awaiting a new use. No trace remains of the bakery, tannery and brewery that served the abbey. Herkenrode Abbey has long been one of my favorite spots in Hasselt, a place where I love to bring visitors from out of town. You can easily spend an afternoon soaking up history in the visitor’s center and strolling through the beautiful gardens. 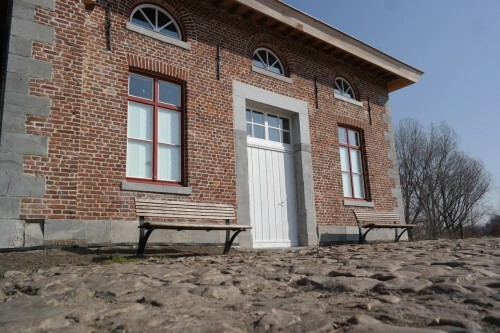 With the addition of a site-specific artwork and a restaurant–not to mention the end of the renovation work–Herkenrode becomes an even more attractive destination for an outing. Now it’s ready for the next hundred years or so.